London: Hodder & Stoughton, 1928. First edition of the first volume of the author’s autobiographical trilogy. Octavo, original cloth. Illustrated with several plates from photographs, including frontispiece portrait of the author. An excellent example in the rare dust jacket with some rubbing and wear to the extremities. Examples in the original dust jacket are rare. 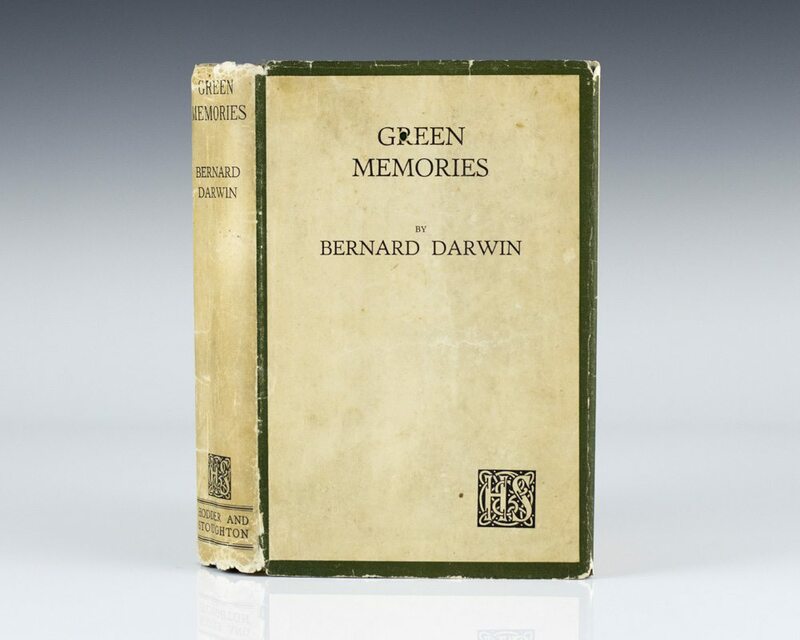 Green Memories is one of three autobiographies by Darwin, considered the greatest golf writer of all time. This book is widely considered one of Darwin’s finest works. 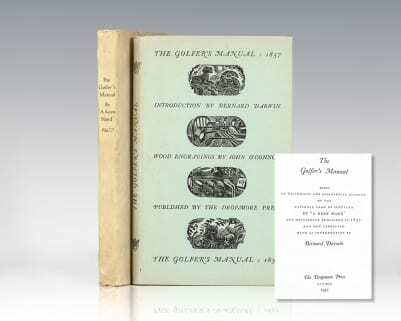 “Thanks to Bernard, golf has acquired the sturdiest literature of any game. 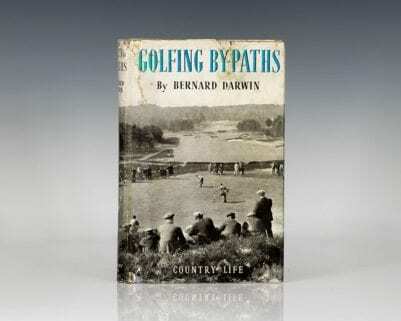 The best is Darwin’s… because he showed the writers who came after him how golf should be written” (H.W. Wind). London: Souvenir Press Ltd, 1986. 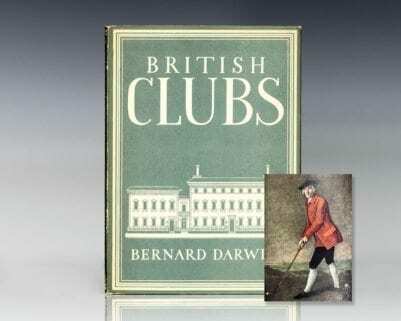 First edition of this collection of writings by Bernard Darwin. Octavo, original cloth. Fine in a near fine dust jacket. Dust jacket designed by Des Jordan. First edition of the first volume of the author’s autobiographical trilogy. Octavo, original cloth. Illustrated with several plates from photographs, including frontispiece portrait of the author. In good condition. Housed in a custom half morocco clamshell box. London: Chapman and Hall, Ltd., 1934. First edition. Octavo, original cloth. 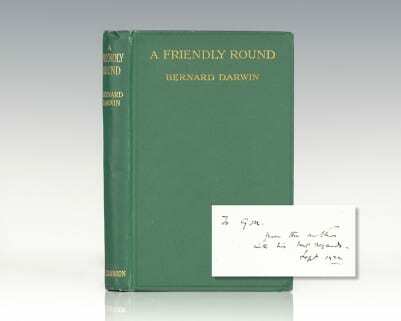 Signed by the author on the front free endpaper, “Bernard Darwin Jan 1935.” An excellent copy with some information regarding the book pasted to the inside gutter in the very rare dust jacket with a few closed tears. Rare in the original dust jacket and signed. Golf: Pleasures of Life Series. First edition. Octavo, original cloth. Bookplate, near fine in a near fine dust jacket with light rubbing. London: Country Life Limited, 1946. First edition. Octavo, original cloth, illustrated throughout. Name to the front free endpaper, very good in a very good dust jacket with some wear and tear. London: Chapman & Hall, 1936. First edition. Octavo, original cloth. Fine in a near fine dust jacket with a few small closed tears and light rubbing. First editions in the original dust jackets are rare and this is easily the nicest example we have seen or handled. 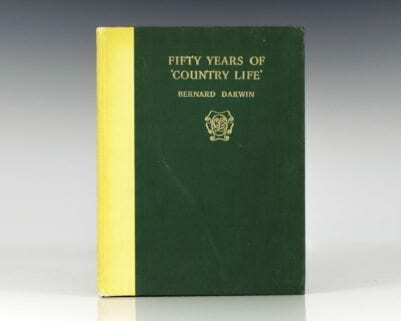 Fifty Years of ‘Country Life’. First edition. Octavo, original yellow and green cloth, gilt titles to the spine and front cover, gilt topstain, illustrated. In near fine condition. London: The Dropmore Press, 1947. First edition. Limited to 750 numbered copies, this is number 324. Small octavo, original cloth. Text printed on hand made paper with wood engraved frontispiece. Bookplate, near fine in a near fine dust jacket with light toning. Housed in a custom slipcase. First edition. Octavo, original cloth, illustrated with eight plates in colour and 20 illustrations in black and white. Near fine in a near fine dust jacket. Uncommon in this condition.